A quick reminder: if you haven't met the requirements for registration at the new forum, your account will, unfortunately (or maybe fortunately, lol) not be approved. Please read this thread carefully when registering. Thanks! Alright, sleep is becoming a thing of the past for me, and exhaustion a thing of the present. So this update I'm actually going to keep short, unlike yesterday's failed attempt at brevity. I spent a fair amount of time on the charts, so hopefully they're self-explanatory. It appears that the preferred count of Friday and Monday was a dead-on hit, and that we're now most likely in blue wave (4). There are more bullish potentials -- so as always, I would caution against any temptation toward complacency. 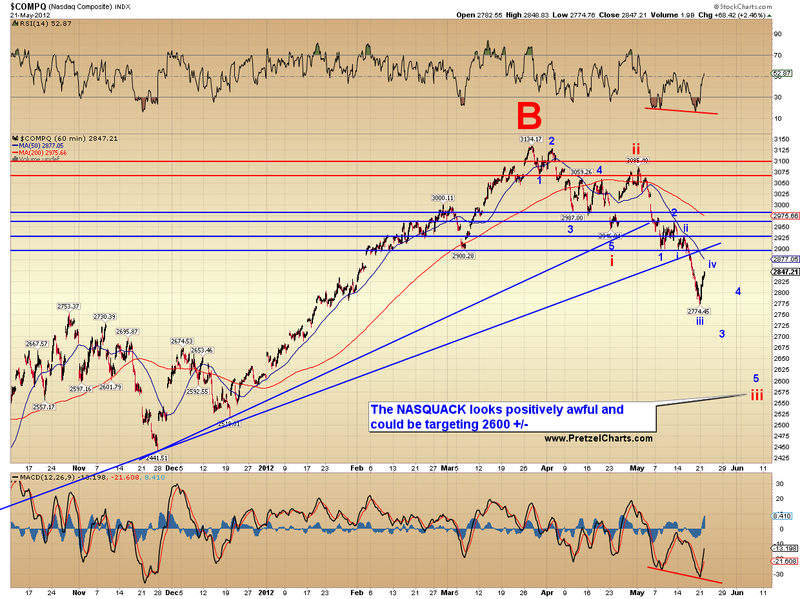 This rally wave currently has an a-b-c appearance, and could be nearly complete. However, fourth waves are known to frequently string together several fractals, so another up/down sequence wouldn't be out of the question. Most notable levels are discussed on the chart, and bears should definitely be cautious in event of any breakouts above the red trendline. 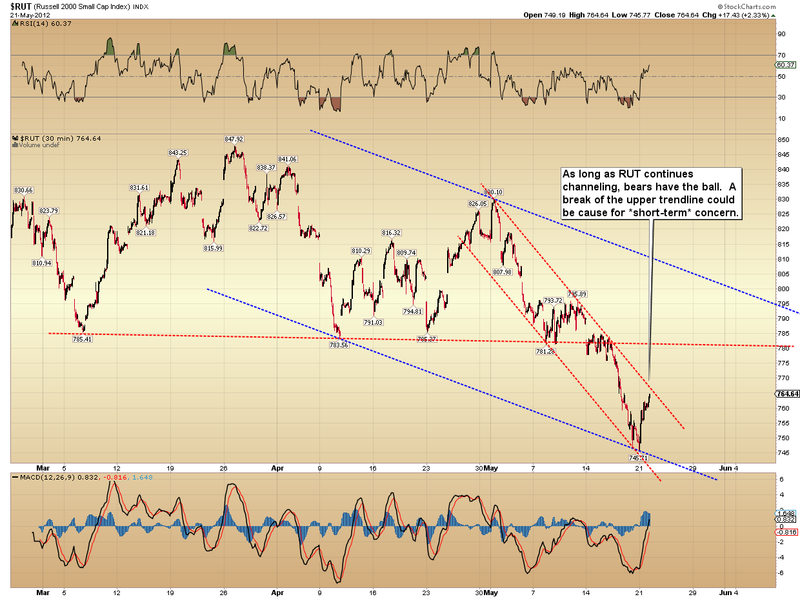 The next chart simply examines the trendchannels on RUT. The last chart I want to call attention to is the US Dollar. If you went long the dollar near the red trendline, as I strongly hinted was a solid play (on several occasions), then you are now in profit of $2200-2400 per DX contract. 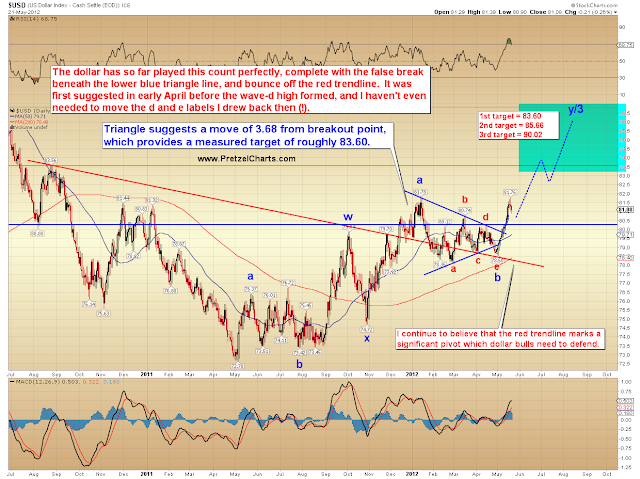 Dollar has currently run into some expected resistance at the a-wave high. 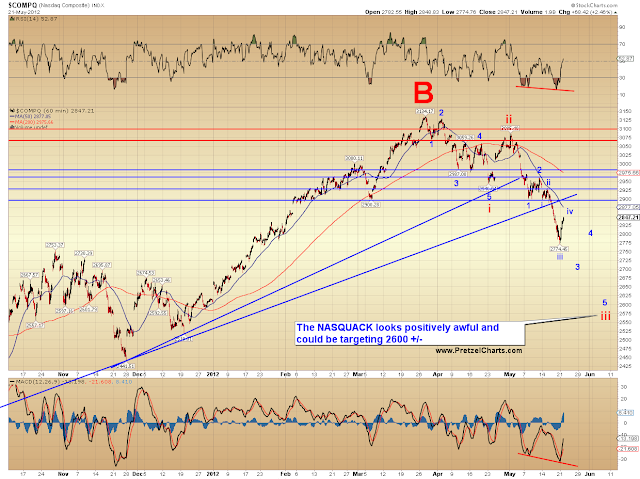 A further correction here would not be out of the quesion, but once it breaks out above the a-wave high, it should be relatively smooth sailing to the targets. I have registered for the new forum. I enjoy reading your daily analysis but I do not care to make comments. I hope you still give outstanding analysis without forcing people to make comments. Most comments on http://danericselliottwaves.blogspot.com/ are junk so I do not waste my time reading comments on financial forums. 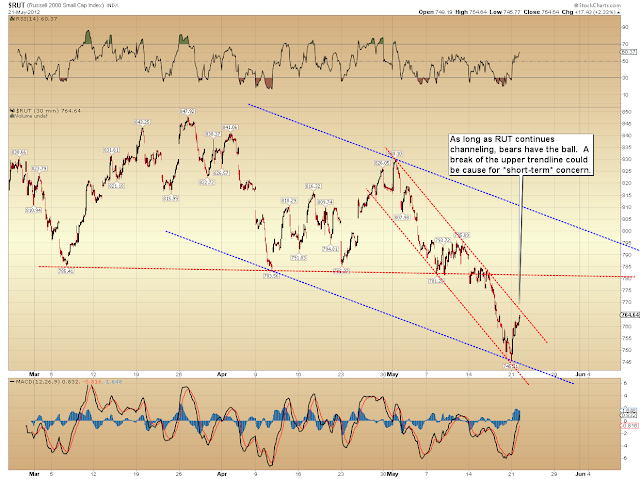 I have read the comments a few times on http://www.pretzelcharts.com and they are not much better. However, I will say it again, your daily analysis is outstanding! Registered on new site, awaiting approval. Old handle was fhardin787, new handle is fhardin. Registered at the new forum as ManticVII. Course I've been meaning to provide you a donation, and should get that done as well! So long, and thanks for all the fishing tips Big Kahuna. Hi! First comment but following PL's writings for months. Copper bear flag? Registered at new forum as SoulJester. Have posted here less than 10 times. Hope that is enough. Read you may be moving your charts there at some point. Would be sad if SoulJester could not longer read your charts. Hi PL, registered as PANoodle on the new forum. Looking forward to the new/improved site! Hi PL, I registered as Permabear on your new board. SJ, it doesn't matter how many times, it's more about whether I recognize ya or not. You, I know. I'm able to track folks who only posted once 3 months ago. It's a lotta frickin' work, but the end result should be worth it. Kewl thanks. I have a question for you in a couple weeks I think. Hey PL there is no way i would miss on your updates so please add me to the new forum even though it may take some time getting used to it. Registered as karthikg. Hi.I've just registered after donating a day or so ago. 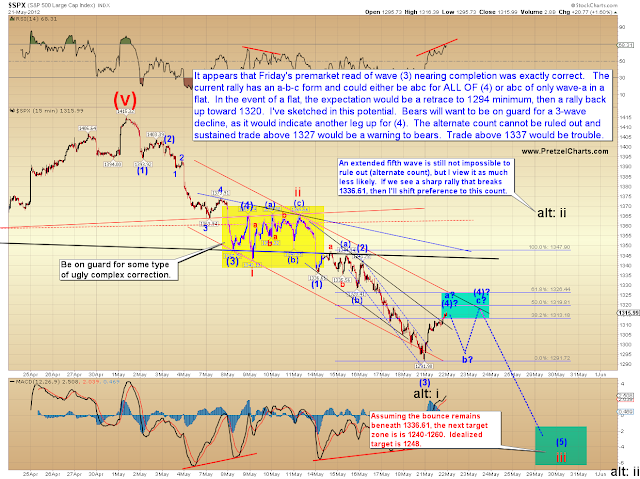 Not a trader, but enjoy your analysis and comments. Ok, but I cannot be registered because yesterday's post was the first for me, so I just read comments there. YES, please register -- pretty easy to find on the site... if you can't locate the registration area, just try to comment and it will tell you you need to register. Thanks for that. For some reason, I had no record of you here. But since you posted just now, I could check your Disqus record directly and see you're not a troll. The account you registered has been activated. PL, I'm a "known spammer" on your new site. I've donated once, so you have my e-mail. Sorry about that, the spam software is fully automated and does its own thing. I'll get you set up in a little while. Hi PL, I also was flagged as a 'known spammer' when I registered and donated yesterday. I used member name tomp. Its all right PL.I have been following you very closely since the last few months but have never commented.So i may look a stranger but let me assure you i am not :-).I am mighty impressed with your thinking on the markets which is quite original and thought provoking.I really love to read your posts everyday and hence was shocked to learn that you are moving to a new format as i really loved this old format.But as they say change is constant-- i guess there should be no complaints though it may take some time to get used to the new format.Guess i will have to register afresh. Hi Tom, I sent you an email.